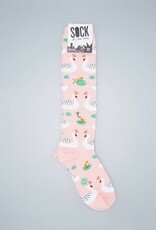 The animal kingdom is at peace on this blush pink knee-high sock. All the animals live in the pond harmoniously under the swans' gracious rule. Frogs play joyously, hopping across lilypads and munching on bugs. 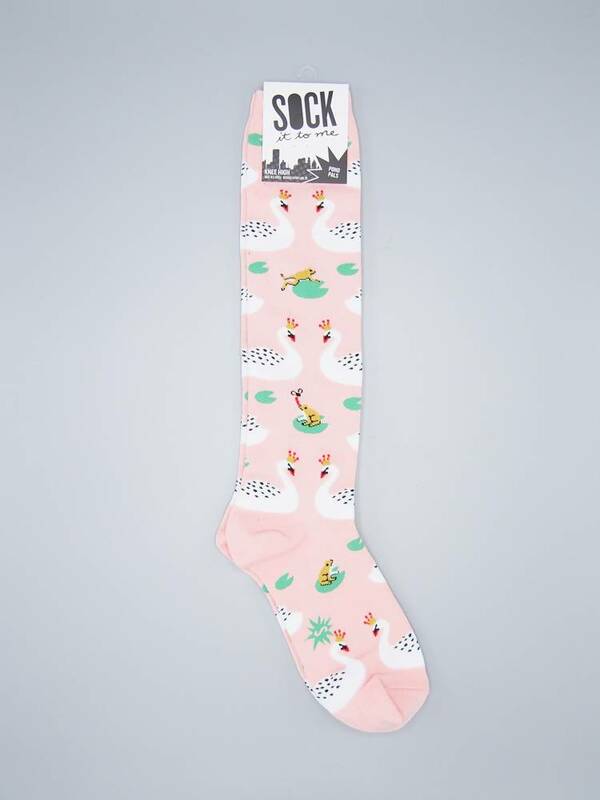 Wear this little slice of swan paradise on your feet, hold your head high, and feel like the most elegant of queens!